Genetic information from 10,000 individuals with breast or ovarian cancer is now available online for free, courtesy of Ambry Genetics, a leading DNA testing company. “This was a conservative first step to … break the mold and get moving toward the direction of the beginning of the end of human disease,” Ambry chief executive Charles Dunlop told STAT. The initiative is designed to advance the field of precision medicine, in which treatments are tailored to the specific genetic makeup of each and every patient. Scientists still need to know more about the myriad genes that can cause cancer — something Ambry hopes to enable by publicly releasing its data on protein-coding genes linked to cancer. It is the first gene-testing company to do so at this scale. Other firms, like 23andMe, also collect data about their consumers, but they sell the information for a profit. Ambry offers a variety of genetic tests for hereditary disease, including for cancer, heart disease, and other ailments. It does not sell those tests directly to consumers, instead requiring an order from a doctor or genetic counselor. This isn’t the only publicly available genetic database, though. In fact, the Exome Aggregation Consortium, based at the Broad Institute of Harvard and MIT, has information from over 60,000 unrelated individuals whose genomes were sequenced as part of various different studies, the New York Timesreports. But Ambry’s chief scientific officer Aaron Elliott said that AmbryShare, as the new resource is called, serves a different purpose: While the Broad’s database is often used as a normal, control population, AmbryShare will be able to focus on individuals affected by genetic disease. 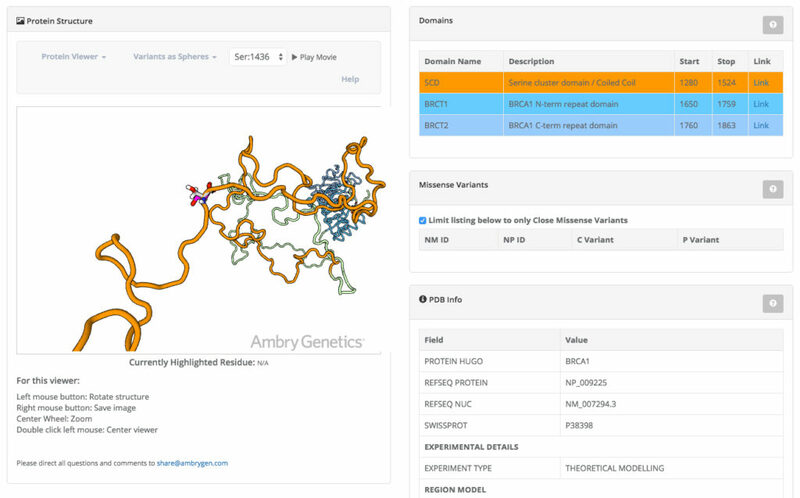 Elliott said that AmbryShare is the largest publicly available database of disease-specific genetic information. Currently, the database contains information about individuals with breast or ovarian cancer thought to be hereditary, but the company hopes to expand by adding genetic information from nearly 200,000 individuals each year.